It’s very likely that we haven’t been told the exact answers to these questions for a reason. But nature abhors a vacuum, and mankind is not very comfortable with ignorance. Some people seek certainty in all things instead of being content with certainty about the most important things, which leads them into wild and endless speculation. Others don’t speculate about the answers to such questions, but they do spend a lot of time worrying about what they don’t know. There is even a nickname for this sort of condition, a kind of “analysis paralysis” that cripples people from moving forward out of great fear and uncertainty. It’s true that we don’t know lots of all that there is to know about our eternal God who dwells in unapproachable light (1 Tim 6:16). “Now we see through a glass darkly, but one day we will see face to face. Now what I know is incomplete, but one day I will know fully, even as I have been fully known” (1 Cor 13:12). But partial knowledge is still real knowledge; partial sight means that you do see something. And in fact—here’s the good news—what we see and know about God is the most important part. This makes sense when you consider that God’s whole purpose in revealing himself is that we could know him. What this means, practically speaking, is that you don’t need “complete comprehension” and “total certainty” in all things to make your way in God’s world. What we need—and have—in Jesus and the Scriptures that point to him, is “the completely reliable prophetic word, to which you do well to pay attention, as to a lamp shining in a dark place, until the day dawns and the morning star rises in your hearts” (2 Pet 1:19). You didn’t come from nothing. You are not an accident! Your life has meaning and value and purpose, and it’s found in the One who made you for himself and created you to ‘run’ on him the way a car runs on gas or a fish lives in the water. Not only are you not an accident, but your life is the byproduct of God’s great love. He loved you before you were born; he loved you into existence. And then, after you ran away him from a million times to go your own way, he loved you all the way to cross. 3. Jesus died for us. The proof of God’s love is demonstrated on the cross, where Jesus took the penalty of your sins onto himself. He lived the life we should have lived, but haven’t, and died the death we deserve to die, but won’t have to because of him. 4. Jesus rose for us. Just as the rising of the sun cannot be stopped, the resurrection of Jesus cannot be undone. The resurrection is the sign and the means by which God is making the world new. It is the symbol of God’s victory over sin and death, guaranteeing that we will live with him forever. 5. God is with us. God is with us through his Spirit, the Helper, who is our Comforter and Advocate. He is at work within us, applying the cross and resurrection to our lives, wooing us every day with remembrances of the gospel and the goodness of God to us in Christ. When you pray for help, you are praying to a God who was tempted in every way as we are, yet without sin. Jesus “gets you,” in other words. Other people may not know your pain and suffering, but he understands it. And he stands ready to help. The life-flow of the Trinity is grace upon grace. The Lord is a God who gives. Our lives are filled with a thousand perfect gifts, not a one being earned or deserved. And the greatest of them is the gift of Jesus himself, who does not make us ‘climb’ our way to him, but rather graciously came down to us. 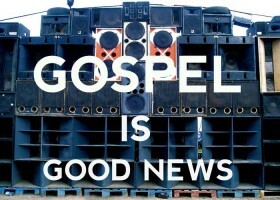 God hates sin, and that’s wonderful news. If he did not hate sin, he would not be good. Yet God is good, and he is perfectly just. He will not let evil go on forever. He will not let a single wrong remain. Better still, he has made a way to destroy sin without destroying sinners themselves. Justice and mercy meet at the cross. There is much we don’t know, but we know that God knows all things. And because of the kind of God he is, we can rest secure in his knowledge of what we don’t understand. This is not some kind of vague mysticism or wishful thinking—it’s more like saying that we do know that God is infinitely wise, and therefore we can trust him with all things. Every ‘happily ever after’ is an advanced imitation of the original happy ending, when God rights every wrong, makes straight what we made crooked, and renews and restores the world once broken. People sometimes say, “We don’t know what the future holds, but we know who holds the future.” But actually, we do know what the future holds: God wins! And everyone who longs to share in his glorious victory is welcome to join the ever-growing chorus. And time would fail me to tell of so much more that God has revealed to us. (In truth, I stopped the list of “what we know for sure” at 10 because it’s a nice round number.) The list of what we know for sure is even greater than this, but even if you had only these ten, think of how much you still possess! The areas where we lack as much certainty as we might like pale in comparison to the weight and significance of what has been revealed to us. 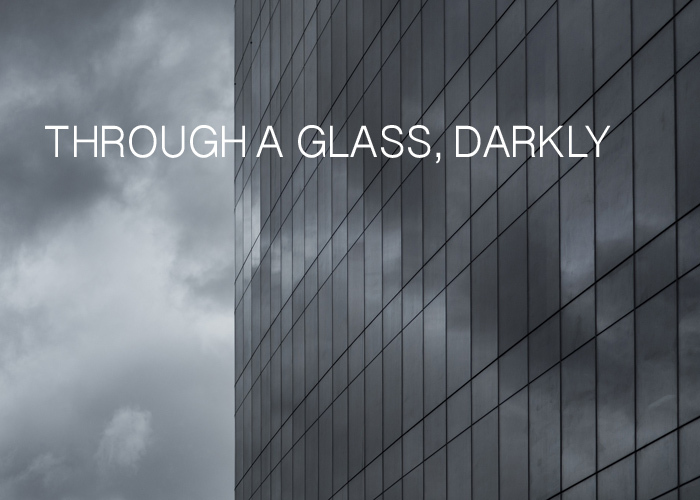 We may see “though a glass darkly,” but that’s only in comparison to what we will see and know when we are face-to-face with Jesus. In the meantime, the “dark glass” of Scriputre is actually full of light, being sufficient to guide us, correct us, and point us to Jesus in all things (2 Tim 3:16-17).